Posted on July 29, 2015, in Eurovision 2016 and tagged Darin, Darin Zanyar, ESC, Eurovision 2013, Eurovision 2016, Lovekiller, Melfest, Melodifestivalen, Stockholm, Sweden, Ta Mig Tillbaka. Bookmark the permalink. 15 Comments. 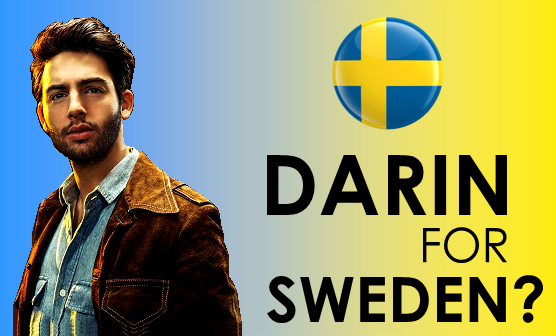 I would absolutely love it if Darin were to represent Sweden at ESC since he has been my fusband (future husband) since his first Idol-audition back in 2004. However, I want him to have a killer song. Sadly I was a bit disappointed by YOUML, and I want a better song for him. But he is among our finest artists, performance and vocal-wise so he would be a superb contestant on home soil! 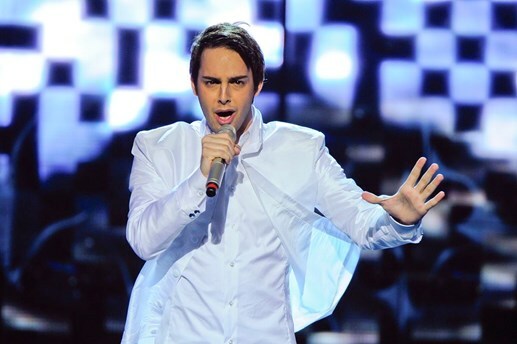 Firstly, I’m so happy I’m not the only one who would be ridiculously happy if Darin made it to Eurovision. You guys have so much musical talent to offer, but he is the cream of the crop in my eyes (and ears). Secondly, OH MY GOSH – I totally forgot about that Melfest rule!! #embarrassing. In light of that, the fantasy becomes even less likely than before, since Darin’s FiM does drop in September. Sadface. But hey, maybe we’ll get him in 2017? Even if he never makes an ESC attempt again, at least he did sing on the contest stage in Malmö, and we can watch that over and over (and over) again. I think I need to let you have him as your fusband (love it) even though I did think he was mine. I didn’t even know he existed ’til about four/five years after the Idol audition, so you literally saw him first! I’ll settle for Måns instead. He can be my fansfusband (fantasy future husband). Gosh, you really know how to spruik someone. If I ever decide to run for the position of treasurer of the local Trugo club, can I hire you as my campaign manager? I’d be a shoo in! As you know, I’m more interested in the song than the artist (yes, la di da, that hoary old chestnut), and I can’t say I’ve got any particular alternative artist to suggest, but I suspect I’d warm more to something that is in keeping with Darin’s more recent folksy style (though I’m always open to persuasion). But BTW, speaking of alternative artists, did you happen to catch Eurovision Times’s ETSC winner? Bat for Lashes from the UK with ‘Laura’. If so, what’d you think? Sia-esque, in a good way, I thought. And looking like a divinely depressed Minouche Barelli (Monaco ’67). I’d love to see more of that style in the contest. Anyway, congrats and well done for getting such a mammoth post out in the current circumstances — I actually thought you’d still be in a period of deep and inconsolable grief, mourning the recently announced break-up of Trackshittaz. In the circumstances, you’re probably doing the right thing, though: keeping yourself active, getting on with life. The pain will eventually subside, I’m told. If not, well, perhaps just try getting totally … WOKI MIT DEIM POPO, WOKO MIT DEIM (WHOO!!-WHOO!!) (etc.). RE: ETSC, oui oui – caught the champ, and it’s one of those songs that I know is good, but it just doesn’t do that much for me. Evidently, that was not the case for the voters, which doesn’t bode well for my chances in ETSC 4 – particularly as I’m representing poor, downtrodden San Marino. Wish me enough luck to ensure I don’t come last. OH GOD! Just when I’d managed to block out the pain of that Trackshittaz break-up, you go and mention it, and now I’m right back in the midst of Wracking Sobsville. Thank heavens we have their poignant and thought-provoking Eurovision performance to look back on whenever we wish. Woki, woki, *sniff* woki! what an epically long tribute to ‚Darin‘, now we know about everything (and more) about his musical biography. I took my time to read it all (which unfortunately took some time ;-(!) and liked it really much. You actually should become a music journalist and roll out your own magazine, maybe THE Eurovision magazine?! Be sure that I would be your first subscriber ;). I guess Darin will be very proud of you to get such an honorable blog of himself!? I wasn’t the biggest fan of his Melfest entry 2010, but I really loved his interval act performance (together with Agnes) in Malmö 2013! In my opinion that was the best interval act performance in a Eurovision semi final up to now (Normally the interval acts are always a bit meh!). And he is a very good singer and live performer who knows how to get the crowd going! 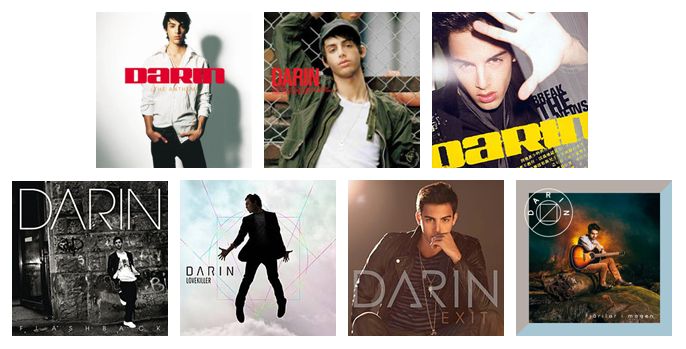 I can only call his albums “Break the news” and “Exit” my own, that’s why my favorite songs from Darin, not surprisingly, are “Insanity” and “Nobody knows”, while the latter I like most. I also find his Swedish songs on the “Tolkningarna” CD (“Exit” deluxe edition) very nice. I would also prefer his new sound of Swedish songs to the “one-man-boyband” style before. I would say he reached a new level here as an artist. That completes my suggestions for Stockholm as next year’s Eurovision capital. I’m sorry that I got sooo long again. But since Sweden has soo much to offer, I could have gone on for ages …. I hope you will enjoy Melodifestivalen 2016 even if Darin does not participate next year. I am sure the Swedish people will choose the right song and artist ;-)! BTW, can I wish some more countries for the SSB? What about Italy, France, the UK, Norway or Turkey? I’d love to see your choices for these countries! I know my Darin 2016 dreams aren’t going to come true, but it’s fun to speculate, right? And on that note, danke for your alternative suggestions – all good ones! Something weird/different from Sweden next year would be great. I do feel like they give us something a little more authentic when they’re hosting since they’re not trying so hard to succeed. Of all your picks, I’ve got to say I’d want Danny Saucedo the most, and that I probably would have preferred him to win Melfest in 2011 too! Hopefully he looks at Sanna and Måns winning after a billion attempts, and thinks to himself ‘Well, I may as well try one more time.’ And then hopefully he’ll be the bride and not the bridesmaid yet again. Although, I loved Lisa Miskovsky’s Melfest entry so much (and still do) that I wouldn’t mind her trying again successfully either. AND now I’ve sampled XOV, that kind of sound wouldn’t go astray for the host entry either (I’m reminded of Aminata a bit…love it). You’re not wrong when you say Sweden has so much to offer, musically-speaking! I will add your Suggestion Box requests to the pile, and let you know that a UK one is already in the works for late August/early September (is it really this late in 2015 already?). Greets Jaz, and, my (actually your) words! As for my take on Darin, once the dust settled, I’m definitely in favor of tracks similar to ‘Ta Mig Tillbaka’ . Most of the songs I found generic, for my tastes, but vocally I wouldn’t be adverse to hearing him in a format similar to TMT. My list of Melodifestivalen hopefuls is null due to be hopelessly out of date at the moment. Thankfully, Wolfgang has provided another list to chew and review! Otherwise I agree with one of the Twitter comments about Molly Sanden as a possibility or I’d love to see Nanne back in the fold for my own outlandish entertainment. And Magnus Carlsson of course! He could be there every year and it would be delightful. In the doppelganger category, the most concrete observation I made was Nina Sublatti could be the granddaughter/DG of Lynda Carter, aka Wonder Woman. The fierce bird-of-prey look and neutral colors offer a modern, more intimidating version of heroism. Or at the very least the ability to easily take out an over enthusiastic dry ice technician. ‘Ta Mig Tillbaka’ tickled your fancy? Really? After your callous rejection of my Russian country covers album (feat. Dima Bilan and the Buranovskiye Babushki, if I remember correctly) recently? *Insert shocked face here*. I’d be happy with Molly Sandèn as an alternative too, and I figure she’s more likely to take on Melfest again at this point, assuming she has more music up her sleeve than her new EP includes. And I’d accept Mr. Carlsson too, so long as he brings Tommy the Viral Interpreter with him! PS – I hope you don’t mind me filing that Sublatti/Carter likeness away for a future doppelganger post. I need all the help I can get. Outside of the shock of me liking TMT, I’ll also add the Common Linnets to the list. As ESC Grand Final 2014 voting wound down and I realized the Netherlands would/might win I was surprisingly at peace with whichever result came to pass. “Calm After the Storm” is on the “do not disturb when listening” list of ESC songs. Do you need help up off the floor? Just for kicks, I enjoy Fleetwood Mac, Dolly Parton, and llllooooooooovvvvve Florence + the Machine (that was her wailing the ‘love’ part). Though I am having trouble getting into a groove with “How Big, How Blue, How Beautiful’ at the moment. C’mon Flo. Indeed, I’ve just come to after discovering that you’re NOT immune to 110% of countrified muzak. But I’m back on my feet, so no help required! Firstly, I LOVE Fleetwood Mac and the voices of Stevie Nicks and Christine McVie, but I adore Lindsay Buckingham as much as one can adore an artist for his brilliant guitar play. He’s the best one on this planet, IMO, especially when he does his ‘Big love’ all alone on stage during their concerts. I visited their only German concert in Cologne last June and it was absolutely amazing. Maybe you could smuggle just one song from them onto your playlist for the ‘Nullarbor’ trip? That would make my day 😀! Then, one of my favourite ‘guilty pleasure’ songs of all-time is called “Islands in the stream” from Dolly and Kenny. I love that song maybe because it’s a composition from the Bee Gees who did some of the best songs in music history, IMO! And I always enjoy to hear this song on karaoke nights when it’s sung in a good way 😃! Same as you, I liked “Lungs” and “Ceremonials” by F & TM VERY much, but I’m not so convinced about her latest album. It’s not a bad album, but still not as good as it could possibly be!? Still I love “Queen of peace” a lot; that should be released as a single some time soon, I hope! And finally, Ilse DeLange and Anouk are my favourite Dutch Eurovision artists by now, and CATS (not Cats 😊) is a perfect and beautiful song, like a warm summer breeze on a road to nowhere (Hey, that one should go on the Nullarbor trip playlist, it would fit perfectly, wouldn’t it). So I’m on your #teamdonotdisturbwhenlistening when this one’s on the radio. Thank you so much for sharing your awesome list of artists here. Such a big surprise (that I am not the only one loving Fleetwood Mac) and a great choice of yours! Have a good day and until next time! Glad you made it back on your feet all by yourself Jaz. I agree 100% that Eurovision has a funny way of altering one’s mindset. As a child I was exposed to more “classic” country like Dolly, but then honky tonk stuff came on and it is not music to my ears. I’ll give a quality song its due no matter what genre. Oh Wolfgang, I feel better that I’m not the only one with mixed feelings about Flo’s latest. “What Kind of Man” is my favorite from HBHBHB (especially when the volume is at full blast) and the rest feels like a wet towel was dropped on my hopes. The album still deserves more listening time before a final pass/fail decision is made. Early thoughts are it will still be 3 out of 3 in her album ranking. Florence and Fleetwood Mac on are on the all-time wish list to see in person. I was working in a library when Christine McVie’s “In the Meantime” album (2004) was released and figured I should check it out since I was already a FM fan. And with that voice I was hooked! Anouk’s smokey vocals are compelling even if I find ‘Birds’ drab most of the time. I would definitely listen to more of her and Ilse. The final question is: which Fleetwood Mac song would be smuggled on to the playlist? Well, Amy, if you smuggle the FM song, then it’s only fair that you select the song! You can take your favourite one, if you like! I’ll be absolutely fine with it because I like almost everything they did from circa 1977 until today. I can never be very critical with them, cause they are THE greatest band on this planet, IMO! What I find so special about them is that they form a band of 5 individual solo artists and three different front singers with a totally different sound of their voices. That gives us their wide range and variety of songs. For my taste it would be a song from the album “Tango in the night”, my favourite one of them (I already gave my No. 1 song of them away, but I also love “Seven wonders”, “Every where” and “Isn’t it midnight”). To me, it’s just important that we have one of their songs on the trip, which one, I’ll leave that up to your decision! You can’t go wrong here, at least not for my taste 😀. But be careful with the smuggling, it mustn’t be noticed 😊! I like Christine’s solo album, too, although it was absolutely unrecognized in 2004, totally undeserved, if you ask me! That is ‘quality music’! Flo’s 3rd album is a grower album, while the other two were ‘love at first listen’, I’d say! Of course, 3 out of 3 in my ranking, too! Agree, “Birds” surely is not Anouk’s strongest song, but it brought the Netherlands back into the final game. I always have to think of the Hitchcock movie, when I hear that song, although it sounds more like a dark “Mary Poppins” fairytale. My favourite from Anouk is her Dutch No. 1 called “Lost”; maybe you like that one a bit more? !